Customers would come into Felicity Jones’ The Meeniyan Store and ask for a particular type of garlic. It might be a hardneck, a turban or a creole. It was remarkable because these customers weren’t simply seeking garlic. They were very specific. “That didn’t used to happen,” said Ms Jones, the store’s co-owner. “People would come in for garlic. But now they’re very interested in cooking with the different garlic flavours (offered by the different varieties). Ms Jones’ father, David Jones, the co-architect of the Meeniyan Garlic Festival, which was launched this year, believes Australia is on the cusp of a new kind of sophistication in its taste for garlic. Entries are now open for the Australian garlic competition which is organised as part of the Australian Food Awards (AFA). Exhibitors are required to stipulate the garlic group and cultivar for each of their entries (eg. Group: Artichoke; Cultivar: Australian White or Group: Turban; Cultivar: Ontos Purple). The awards will be judged by Australia’s leading experts in garlic. 9. Opportunity to be showcased at International and Local Trade Shows and promotional events. An interesting article on the health benefits of combining lemon with garlic. Career banker Paul Cooper never flinched when he was made redundant during the gloom of the global financial crisis eight years ago. 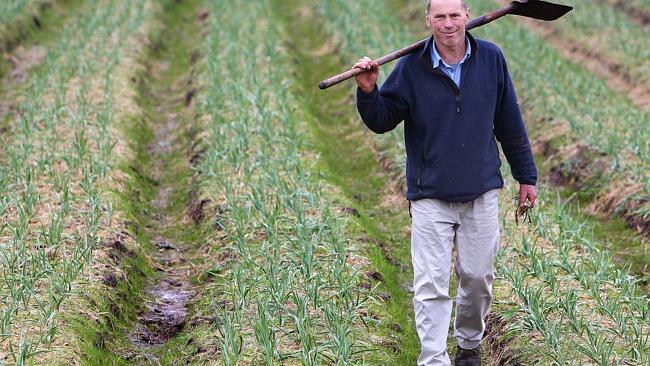 A hunch that West Australian consumers would like to get their hands on more local garlic has turned into a new career for Cameron Williams.